Now that Shin-Soo Choo is going to be out of the Cleveland Indians lineup for a while, we’re eagerly awaiting today’s press conference where Giants general manager Brian Sabean calls for a rule change. 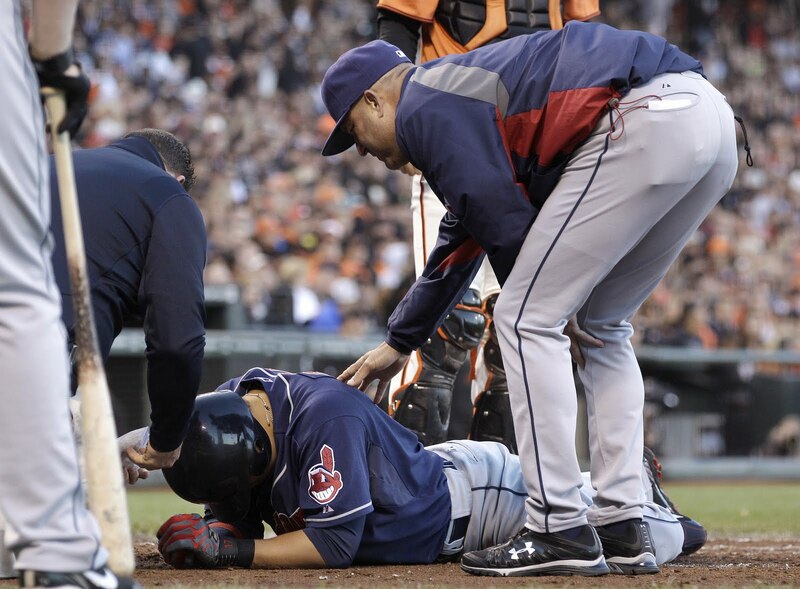 Choo sustained a fractured thumb when he was hit on the left hand with a pitch from San Francisco’s Jonathan Sanchez in the fourth inning of Friday night’s game. Clearly, pitching inside is inherently dangerous to the batter and must be immediately outlawed. That’s the new protocol, right? At least that’s what happened when San Francisco catcher Buster Posey was hurt in a play at the plate last month. His agent and Giants general manager Brian Sabean both cried about the injury and how the rules should be changed – conveniently overlooking the fact that Posey was blocking the plate without the ball in violation of a rule that actually exists. So we fully expect Sabean and the Giants to stand up and publicly reprimand Sanchez for his “malicious” and “unnecessary” pitch, right? The Giants wouldn’t want to be seen as hypocrites, would they?